Proud of its muscular individuality, “the Territory” is where preconceptions of Australia’s tough, time-carved wilderness find their fullest shape. From the ancient green plains of the so-called Top End to the natural wonders of the Red Centre, it’s a region that deals in physical extremes. Travel here gives a far more untamed feel to the country than a trip along the east coast, and its relative remoteness is a big part of the appeal. That’s not to say the Northern Territory is without its home comforts, of course. Capital city Darwin is a laid-back tropical city with an upbeat bar scene, some eye-catching new developments and a thick multicultural flavour. Hang out at beach markets, take a sunset cruise or delve into the city’s remarkable history – more wartime bombs fell here than at Pearl Harbor. Famously, the city is also the gateway to the phenomenal Kakadu National Park, a vast swathe of land with a powerful indigenous heritage and wildlife ranging from crocodiles to sea eagles. Heading south along the Stuart Highway – which runs the length of the state – obvious stop-offs include the likes of Litchfield National Park, known for its waterfalls and swimming holes; Nitmiluk Gorge, one of Australia’s most dramatic kayaking spots; Alice Springs, a bold and fascinating city in the middle of the country; and of course the mighty rock formations of the Red Centre, most notably the genuinely breathtaking enormity of Uluru. 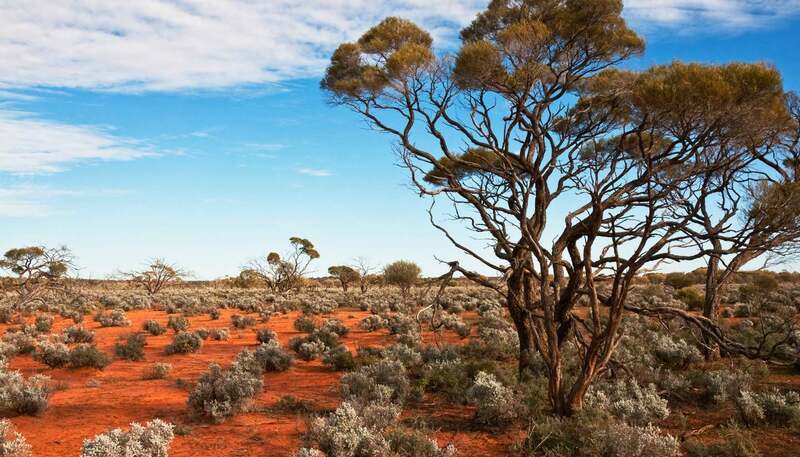 Across the Northern Territory, much of the landscape is draped in Dreamtime legend, so you’ll also find numerous opportunities for bushwalking, “bush tucker” tasting or simply learning more about Aboriginal culture. 1,349,129 sq km (520,902 sq miles).